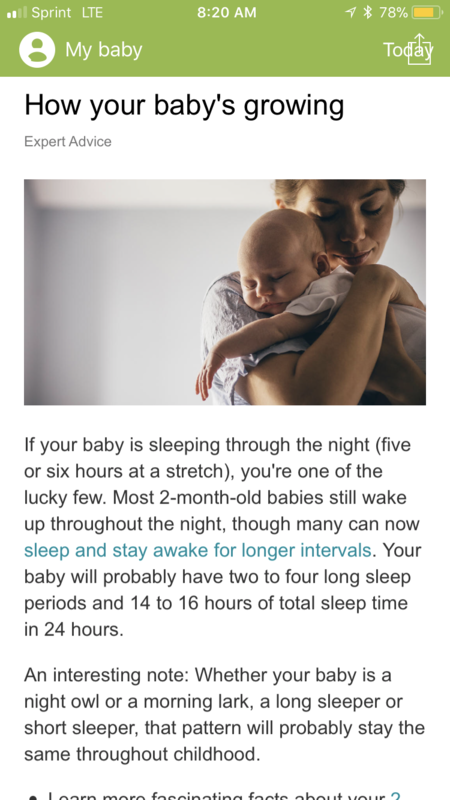 As new parents, one of our focuses is on sleep. Does he sleep enough – according to many reports he should sleep a lot more than he does, though he is finally starting to sleep a bit more through the night. I wonder if that will change now that I’m will be at work for many hours a day as he’d prefer to get in as much breastfeeding time as he can. 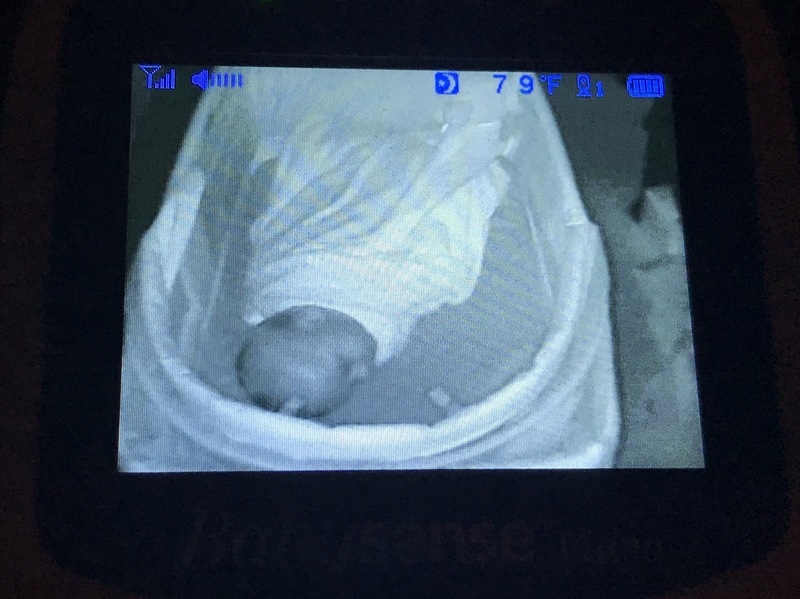 We now have a video monitor for which to look in at William in his bassinet to determine if he is sleeping or stirring. Though you cannot see it in this photo, he’s sleeping soundly in a swaddle that Matt wrapped around him. Two and a half months in, and he’s still escaping from ones that I make. It’s interesting to see that his sleep patterns will probably follow him for years. As far as I can tell wants to be a night owl like Matt (only Matt’s swaddles and listening to the shower put him down when he so wants to stay up) and sleeps sort of fitfully like I do. He’s definitely growing, he feels so much heavier in my arms then from just a few weeks ago. It’s fun to see which clothing fits him, and which does not. 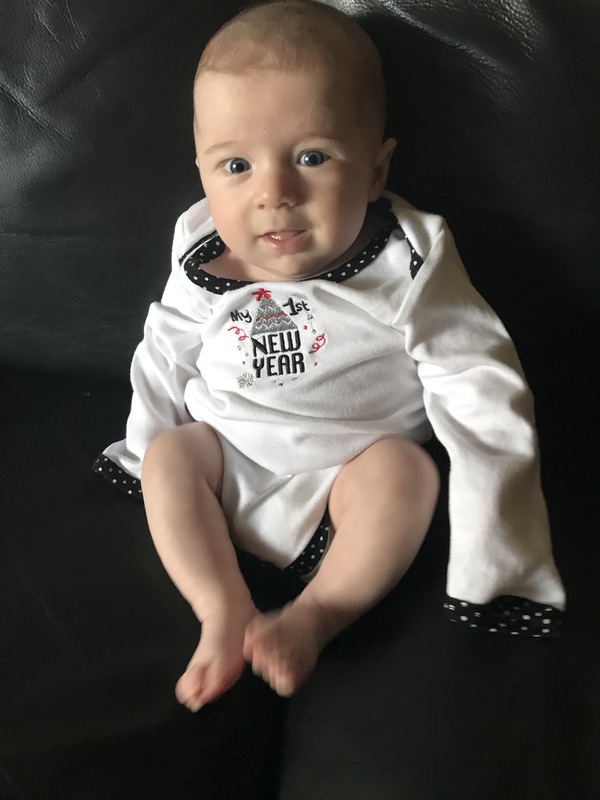 This outfit was in a pack of those that were supposed to be 3-6 months, yet somehow was 6 to 9 months. I’d only draped him with it last night. 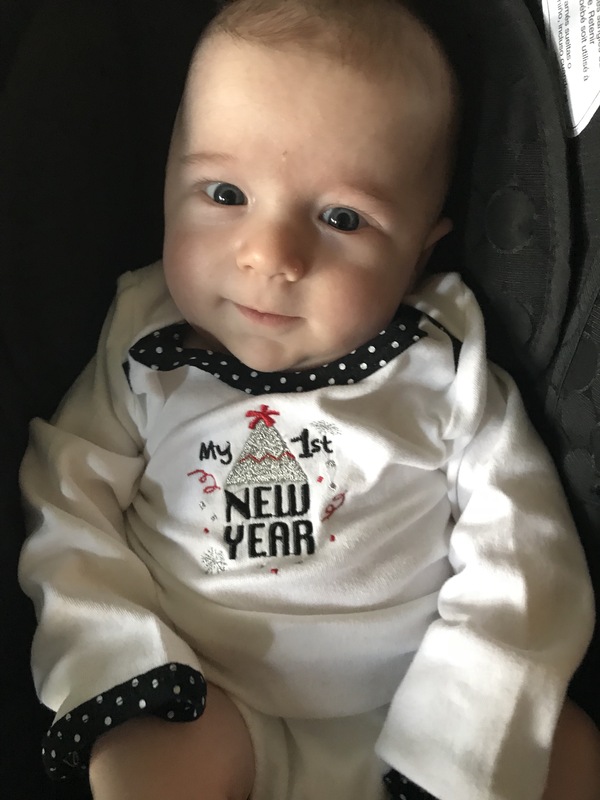 Yet, since this is his first true new year, I figured why not and put it on him, it fit better than I expected. He looks at everything with so much concentration. I counted out on fingers and thumbs to show him that today he is ten weeks old. I really wish I knew what he was thinking. It’s so fun to see him change and grow. I often tell him that everyday he’s getting bigger and smarter and stronger.